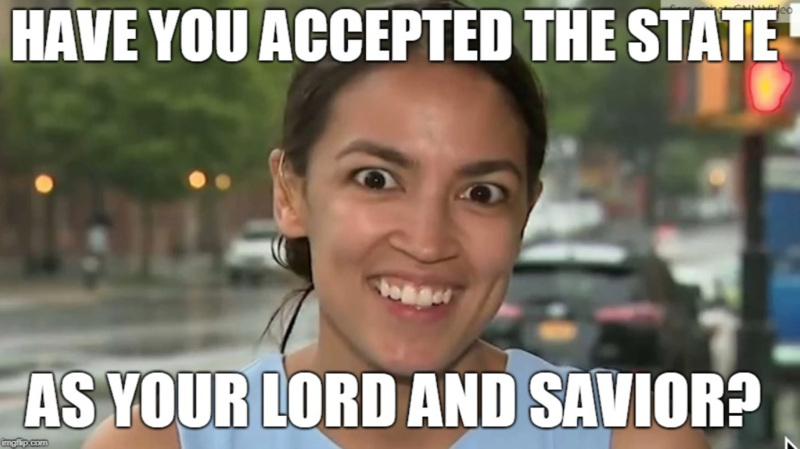 Cortez is out of touch with reality! Sad! Whatever AOC’s been smokin’, it sure ain’t legal. And people ask me why history is important. IKR! If we ignore history that would be kookydukes! If you don’t already know, guess who wrote that; easy enough to look up. 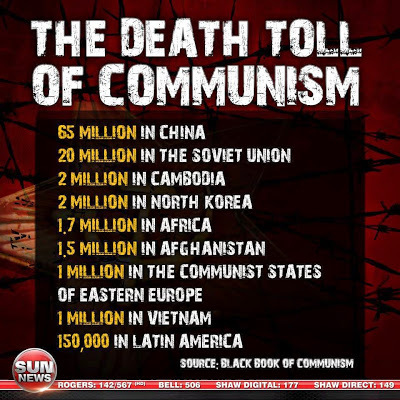 The death toll of communism is the tragedy. Ms. Ocasio-Cortez is the prima donna of this current farce. What I want to know, and others have also wondered, is: who is the power behind her ? SHOULD WE TRUST A DANCING BARTENDER TO RUN THE ENERGY INDUSTRY AND CONTROL OUR ENERGY USAGE? In what passes for the USofA today, we routinely entrust far more important things to far less qualified people, so this is par for the course. “We” as a country have pretty much proved beyond any reasonable doubt that we more than deserve the government we’ve saddled ourselves with. I read the Green New Deal twice and still, no matter how I tried to give her “deal” the benefit of the doubt, I couldn’t. It is beyond unrealistic if that is possible. What I am curious about is her senior thesis. Because if this is what she thinks passes as a doable and legitimate bill, her thesis must have been even worse. Then I have to question her economics textbook and her professor(s). If you ever studied economics, you would know that the first two principles you taught are scarcity and opportunity cost. Clearly, she did not even consider these vital principles when creating this waste of parchment she calls a bill. Let Thomas Sowell clear this up for you. AOC will never realize her plan is a complete and utter failure because she is not only out of her league when it comes to economics, but Gene Roddenberry’s utopia we call Star Trek was strictly for the TV, NOT reality. They went public with it without asking the CBO or OMB to cost it out for them. So what is it? It’s just a bunch of creative writing designed to virtue signal. It’s not policy. Policy has costs and a way to pay for those costs. Not surprising to see the other Dems that signed onto her plan…giving approval to her (and whoever she is representing/spokesperson for) hideous ideas. They’ve made her their popular fresh faced spokeswoman, and now they have to live with the policy recommendations of a 29-year old dancing bartender with googly eyes. Socialism is actually the New American Dream. The original American Dream was about being able to go as far and rise as high as your hard work and determination will take you. For the New American Dream, just substitute “your” with “other people’s”. There are only two places where socialism will work: in Heaven, where they don’t need it, and in Hell, where they have it already.